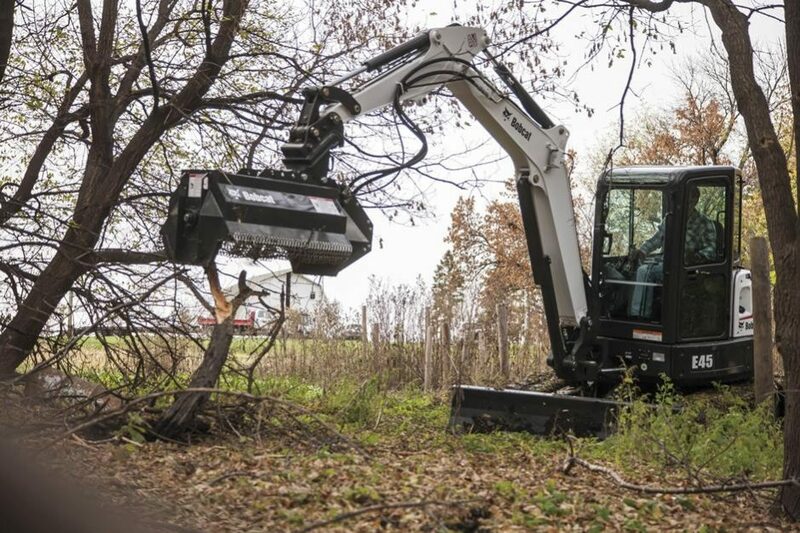 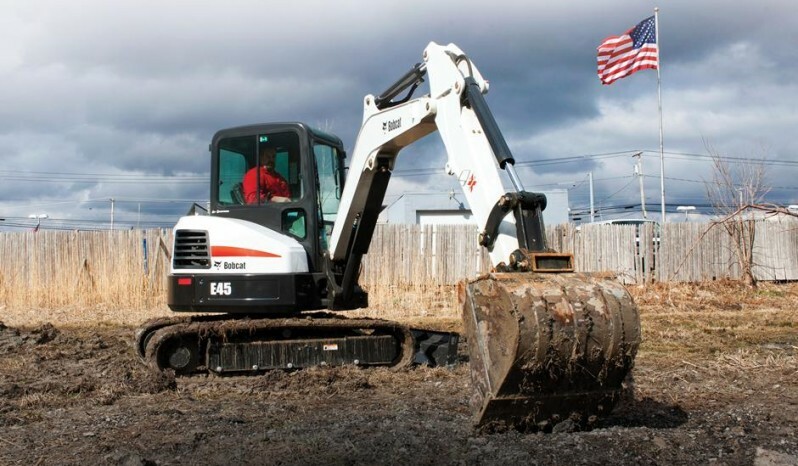 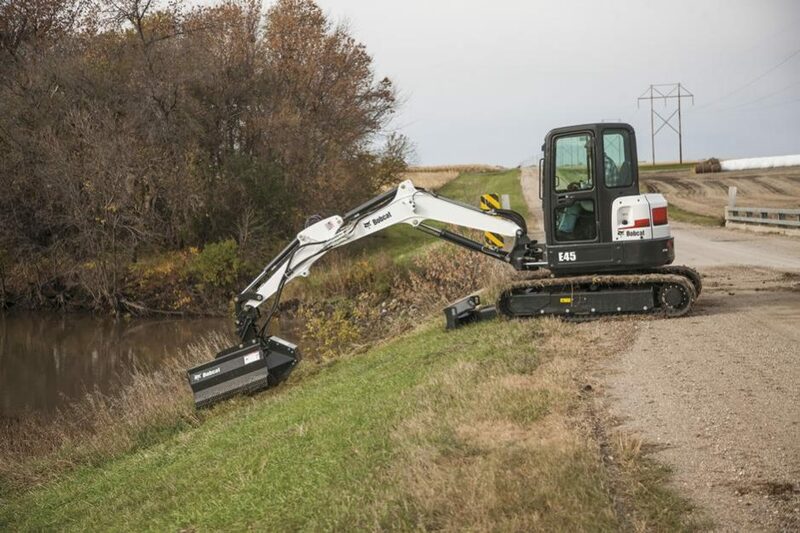 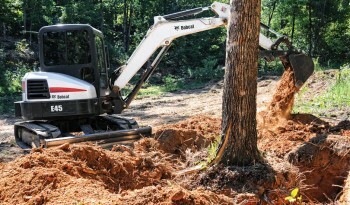 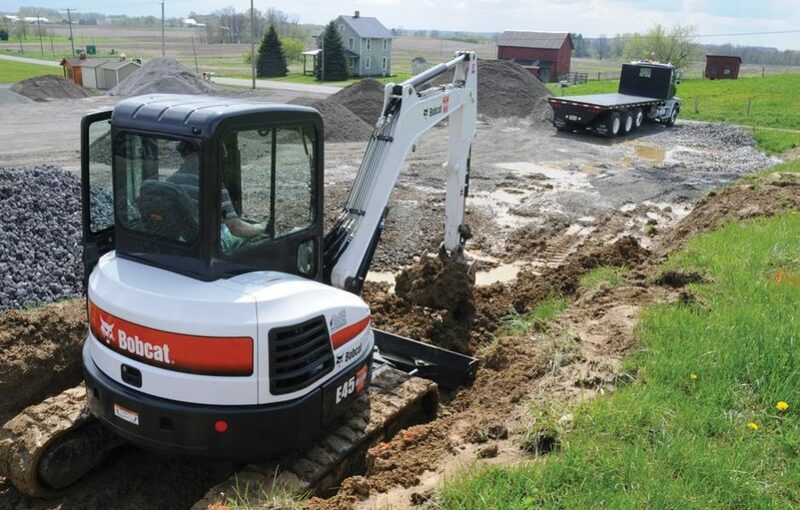 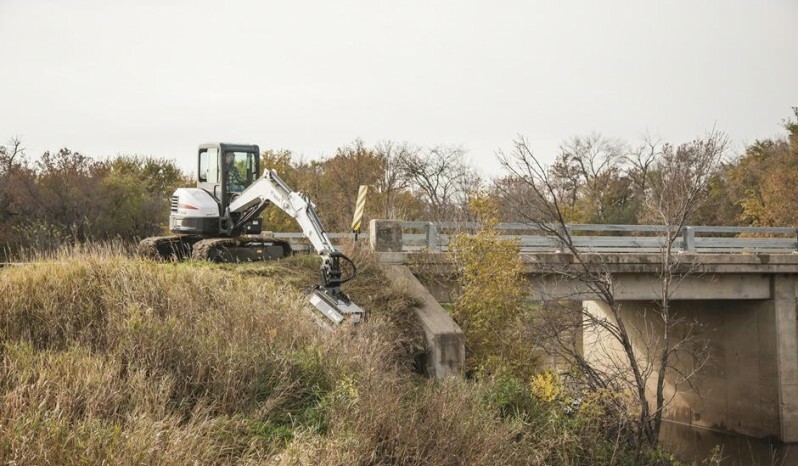 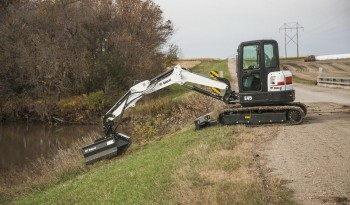 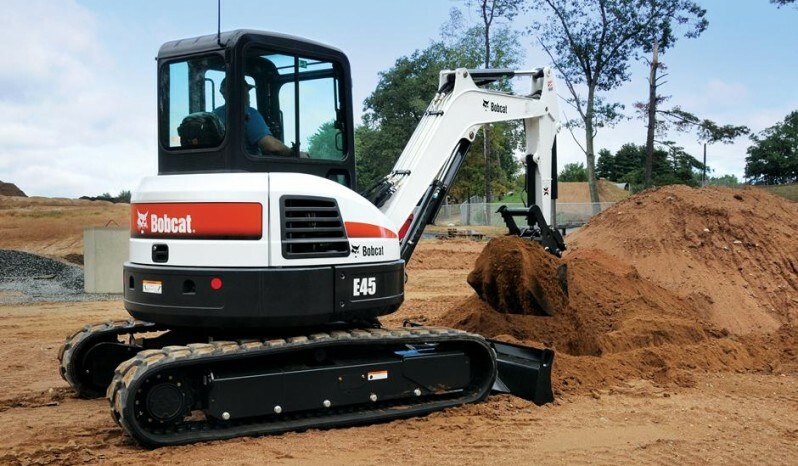 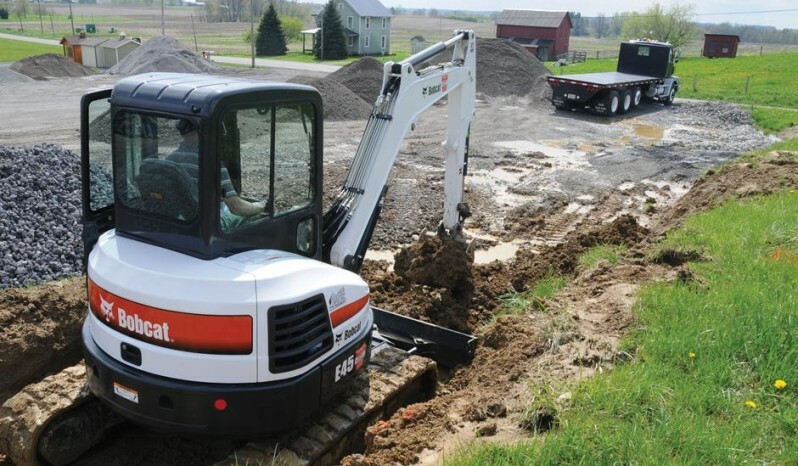 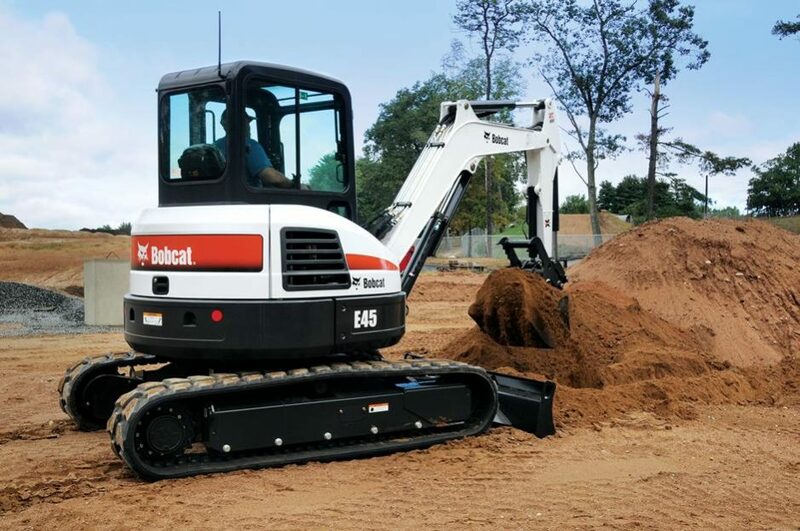 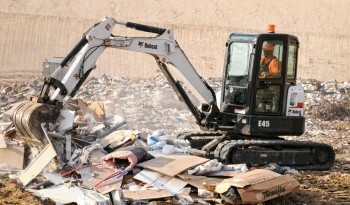 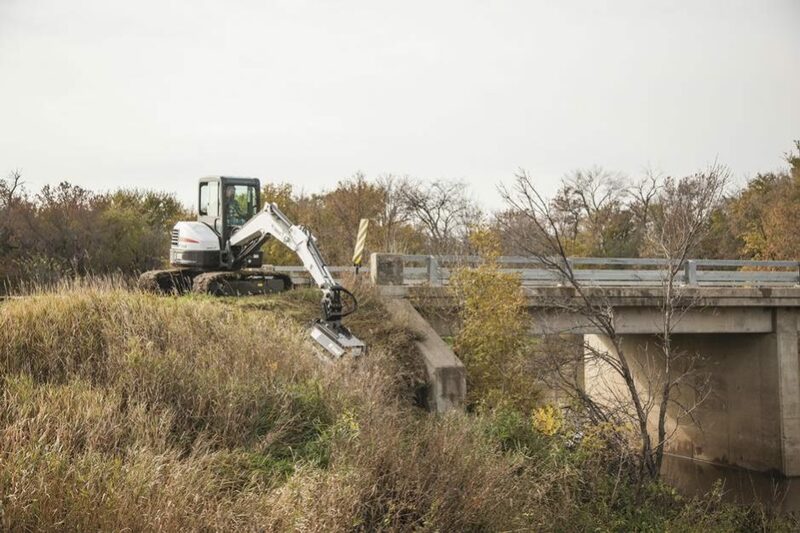 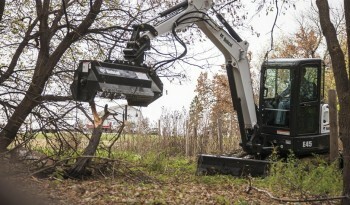 The Bobcat® E45 compact excavator (mini excavator) offers Zero Tail Swing (ZTS). 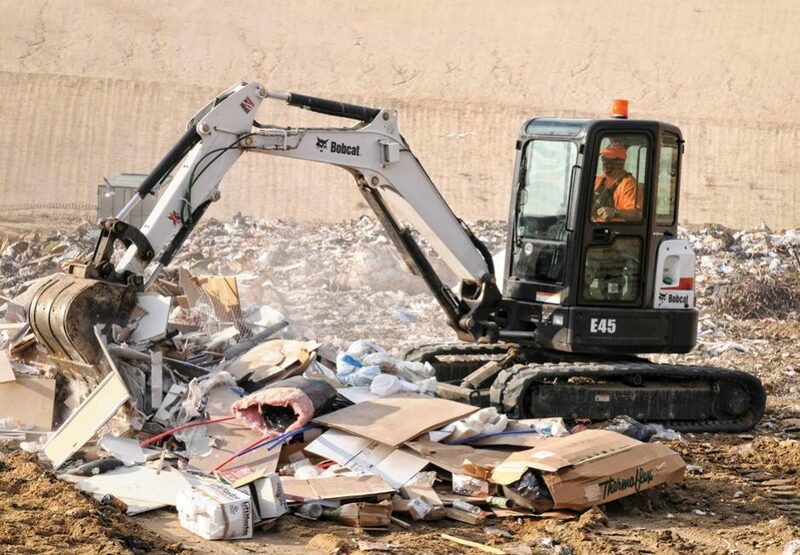 Excavate close to surrounding objectives with unrestricted rotation, greater flexibility and reduced potential for damage to the machine and surrounding property. The Tier 4-compliant E45 can be equipped with an angle blade option, long arm option or clamp-ready extendable arm option. Fuel Tank Capacity 21 gal. 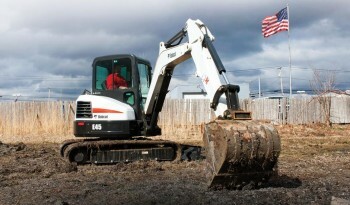 Arm Force 5,332 ft. lbs. 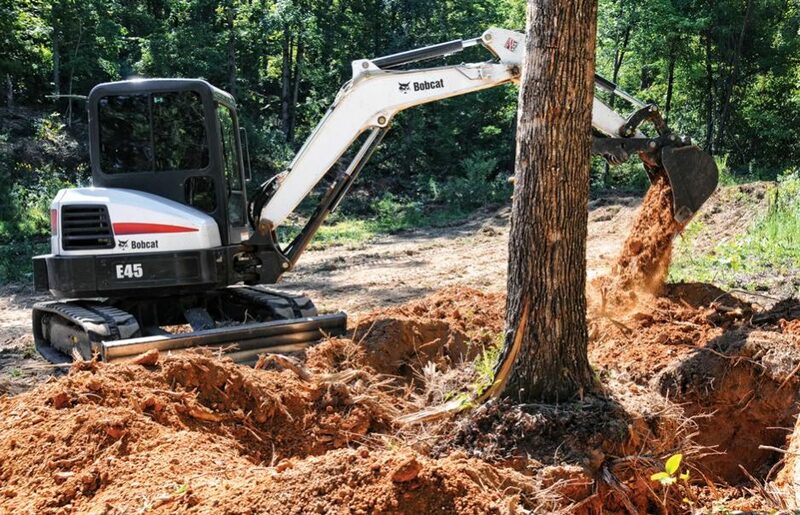 Bucket Digging Force 7,650 ft. lbs. Boom Lift Capacity 5,131 lbs.